Cutting a Path Through Clutter. It’s time for spring cleaning and clutter clearing! The birds are singing, the bees are buzzing…Take advantage of that fresh spring energy and use it to lighten up! Cut some clutter out of your life and you’ll feel the benefits, I guarantee it! This is the best time to set the tone for the next year. I’ve been taking advantage of that spring energy, in a big way, and I encourage you to invest some energy in a good clutter clearing and cleaning session. There are so many benefits to getting organized and clearing clutter out of your life! I wrote about some of them in Six Benefits of Getting Organized with Feng Shui. What is clutter? It can be a thing, a person, a job, a place that’s robbing you of vitality. It’s something that drains your energy on a consistant basis. It’s anything that hasn’t been used, loved, or cared for in a long while. It could be the bicycle that’s been sitting unused, in the corner, for over a year. You think someday I’ll get back on that bicycle and everytime you see it you’re reminded of what you haven’t done, what you probably won’t do. Clutter keeps you stuck in the past or the possible future and takes energy away from your enjoyment of the present moment. About two years ago, I experienced a rather serious depression. I was so weighed down by things, responsibilities, stuff that I kept promising myself I would use, even furniture that reminded me of hard times. In the midst of this time of illness and mental distress, I had a waking dream. I dreamt that I had only a suitcase, that I had left everything else behind and that I was so free and gloriously happy. My energy was much more centered and stable, I was satisfied with less and I had complete faith in my path. That dream was so real for me, that it helped me claw my way out of a deep, dark hole and I’ve made a commitment to letting go of as much clutter as possible since that point in time. Recently, my heart has been telling me to go to Boulder, Colorado, in search of adventure and perhaps, a new life, a fresh start. I’ve whittled my belongings down to a suitcase and a couple bags, some stuff to sort through later perhaps. I’m not completely done letting go, but mostly. Enough for right now, at least. What have I let go of? Boxes of books have gone to the “friends of the library bookstore”. Jewelry displays went to a friend with a nearby store. Clothing will go to goodwill. A batch of pearls were sold to a nearby jeweler. Papers that I meant to work with but never got around to (in the past year) went to recycling. Anything that reminds me of the past? Gone to new homes. That’s the tail end of it. There are rooms and garage-fulls of stuff that I’ve found new homes for in the past three years. It’s been quite an adventure! Have I cried over lost stuff? Yes. I’ve loved my things generously. I’ve had some amazing memories with my “stuff”. I’ve made plenty of attachments. I’ve lived “in the moment” with my belongings, showering them with appreciation. I grew where I was planted, to the best of my ability. And I surrounded myself with things that I loved. Loss is a part of life. So is sadness. So it letting go. For me, it’s time for a new kind of existance. And, over the past five days, I’ve cut a quick path through my clutter. The suitcase is packed, I’m processing through the rest of the bits and pieces, and my plan is to hop on a bus to Boulder. Today. April Fool’s Day. I think it’s appropriate, considering that I’m playing the fool, creating a new path for myself with only the absolute essentials in my posession. Why did I do this? To shake things up. To show “the universe” that I mean business. To say, with my actions, that I’m willing to follow my heart, my passions, my ideals. To create a vacuum to be filled with fresh opportunities, fresh energy, freshness, all around. I did it to show faith in my higher power and in my dream. For me, clutter clearing is a very spiritual thing. Disclaimer: Please let go of your stuff RESPONSIBLY…donate what can be donated, find new homes for your items to the best of your ability, cut down on the waste going into the landfills, do your part to show the Earth and the people that you care. Your energy (chi) will benefit from acting responsibly, too. Have a chat with yourself…ask yourself what’s important to you right now, in life? What are your priorities now and for the near future? Write it down in a journal. What do you really need and want? What kinds of items are essential for those ideals/priorities? Really hone in on that and consider letting the rest go. If you don’t love it or use it, at least now and then, let it go.When you surround yourself with only things that you love, your energy will be enhanced and your quality of life will go way up! If you haven’t used it in the past year, it’s gotta go.Chances are you won’t use it in the next year, either. If it doesn’t suit your present lifestyle, you’re living in either the past or the imagined future and it’s gotta go. If it’s broken, make a commitment to fixing it, giving it to someone who can fix it, or otherwise letting it go. If you feel guilt about the item (like a watch given to you by Aunt Betty for your birthday) and you hate it but keep it anyway, it’s gotta go. There could be someone wishing for that particular thing! If you’re not using it, but keeping it out of fear that you won’t have another when you need it, it’s gotta go. Again, it’s that fear energy that makes us clutch onto things for dear life and restricts our energy. By letting go of the thing, you’ll let go of some of that fear, too. If you don’t have enough space for it, it’s gotta go. Live within your means, within your walls. How much money are you spending on a storage space full of stuff? How much guilt energy are you pouring on yourself by saying “next weekend I’ll get out there and take care of that”. Or fear, saying “we’ll need that when we move into a bigger place”. For additional help, check out my article Letting Go is an Act of Faith. Cheers! Claire Amber, aka “the feng shui fairy”, is a feng shui consultant, writer and green business advocate. She can be found on twitter and facebook. Visit her web-site at www.thefengshuifairy.com. Sage advice. If people would declutter, professional cleaning services would be done in half the time saving the customers money. Thanks for sharing! Claire Amber, the Fired Up Diva, is a feng shui expert, happiness coach, creative goddess and the author of “From Burned Out to Fired Up: Fabulous Feng Shui Secrets for Feeling Happy, Confident, Sassy and Radiant.” Claire teaches sensitive women and men how to reduce stress, cultivate life force energy and reclaim their zest for life through a holistic approach to feng shui (body, mind, home and biz). Claire is known for her operatic laugh, quirky sense of humor, unique style and joyful nature. 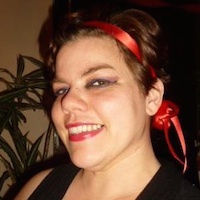 She has previously written for Elephant Journal under the names of “the Feng Shui Fairy” and “Claire Burstein.” Connect with Claire via her blogs, FiredUpDiva & FiredUpFengShui, Twitter and Facebook.